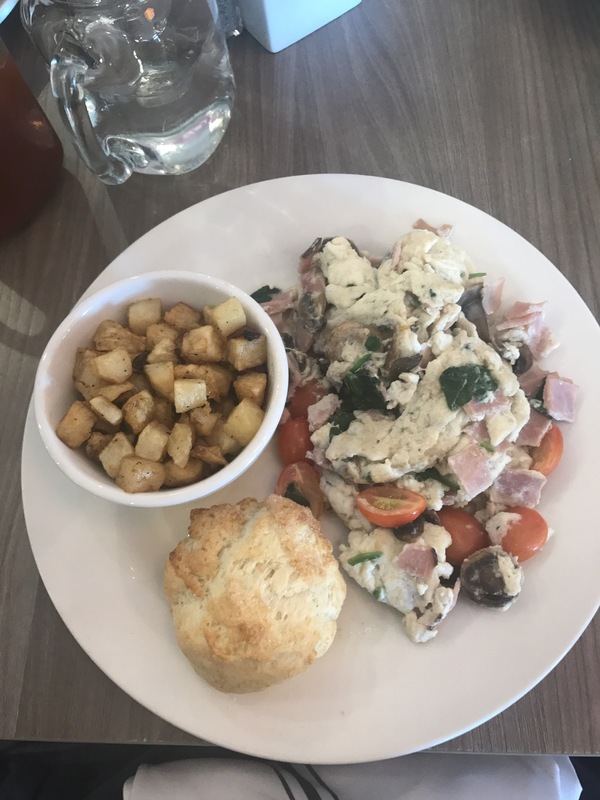 One of the ways I’ve managed to find success thus far is by replacing foods that I’m craving with a healthier, more nutritious alternative that I make for myself, at home. One of my very favorite meals is fried rice, potstickers, and miso soup at a restaurant. Unfortunately, if I even tried to put this all into my point tracker I’d probably run out of two days’ worth of points. I’ve been making this meal for dinner recently and adding in different veggies into the cauliflower if I brown it a bit in a pan. But today I just opted for steaming it in the microwave. 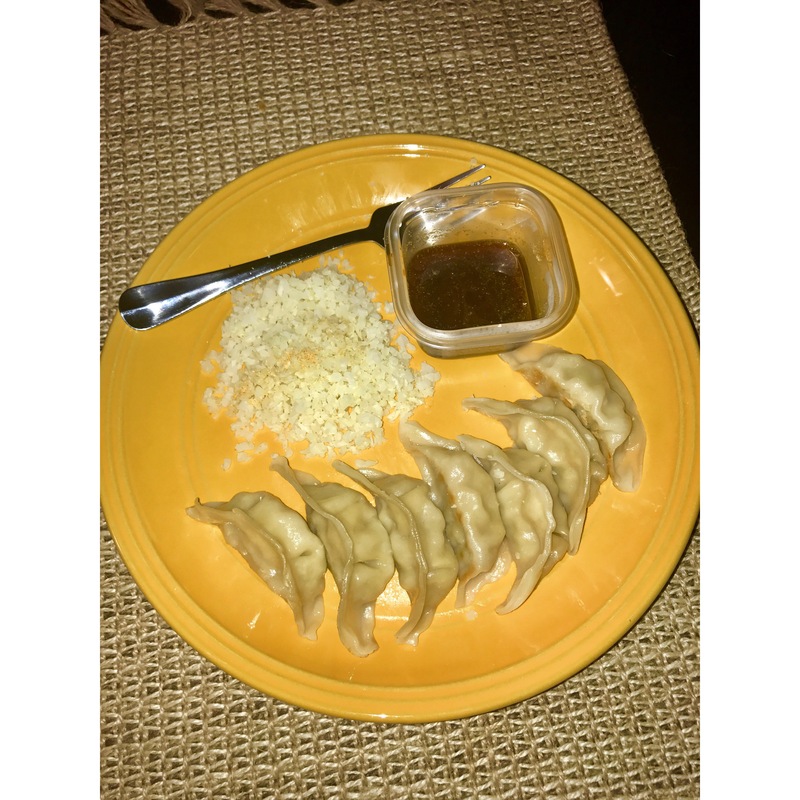 I found an awesome alternative for potstickers at Trader Joe’s which allows me to have 7 potstickers for only 6 points! To make them, I follow the instructions on the package which just involves lightly sautéing and then steaming them for about ten minutes. *The honey and sesame oil add about one additional weight watchers point, but it’s still delicious without those components. 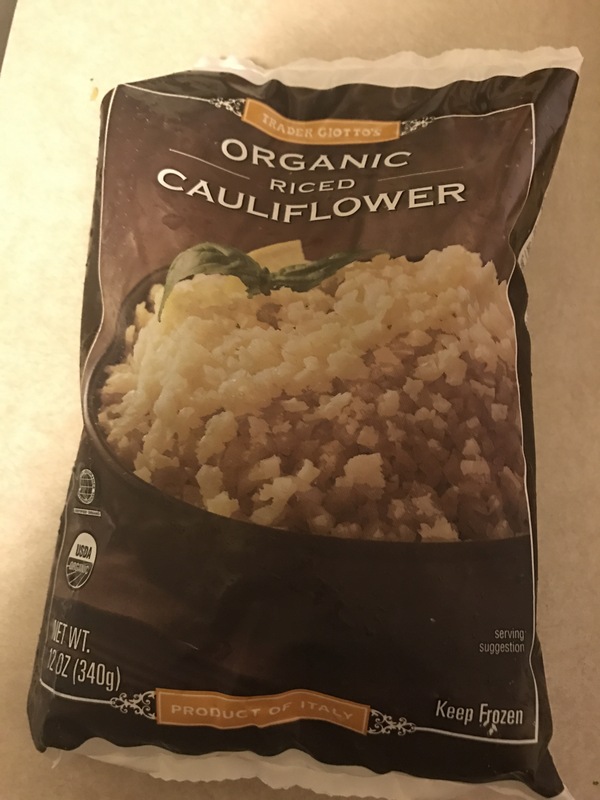 I’m a huge fan of zucchini noodles, spaghetti squash, and other alternatives to simple carbohydrates so naturally riced cauliflower is a no-brainer. The riced cauliflower from Trader Joe’s makes it super easy for me to just cook the amount of “rice” I want and leave the rest in the freezer until I’m ready for more. It also cuts down immensely on my food prep time as it takes only 3-4 minutes to be fully cooked. I also enjoy this meal with miso soup which is one 1 point (I like Kikkoman Tofu Miso packets) you just mix it with water and heat it up and it’s genuinely delicious. I spent a total of 12 minutes making this meal and I am completely full and satisfied from it at the cost of only 8 points! What are some of your favorite “treat” alternatives? Let me know in the comments below & feel free to subscribe for more recipes, meal ideas and more!